Click to find your nearest OA group – if you’re having difficulties using the search page, please see the guidelines below. OA also offer virtual meetings online or over the phone. For information aimed specifically at men in OA, visit the OA Men website or download this flyer (last updated June 2018). 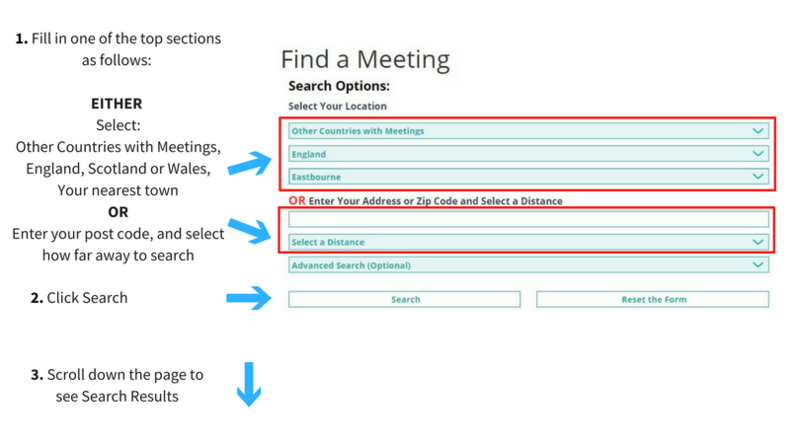 The post code search is usually the easiest way to find your nearest meetings, especially in London.